MusicBee is a perfect option for those who have a collection of tunes that need to be organized, as it can help you manage your collections – no matter how huge and sprawling. After installing it on your computer or portable devices, MusicBee will search your PC for music and enables you to add tracks from iTunes or Windows Media Player. It provides playback and management of audio with various formats including MP3, AAC, M4A, MPC, OGG, FLAC, WMA, WAV and more, but this do not extend to the streaming music, like Apple Music. Because each track downloaded from Apple Music is packaged in M4P format. This format carries with Apple Fairplay DRM and is used exclusively by Apple to protect their works from taking outside of their iTunes or Apple Music app. In this case, it seems impossible to import Apple Music songs to MusicBee for managing. But fortunately, that’s not the end of our story. 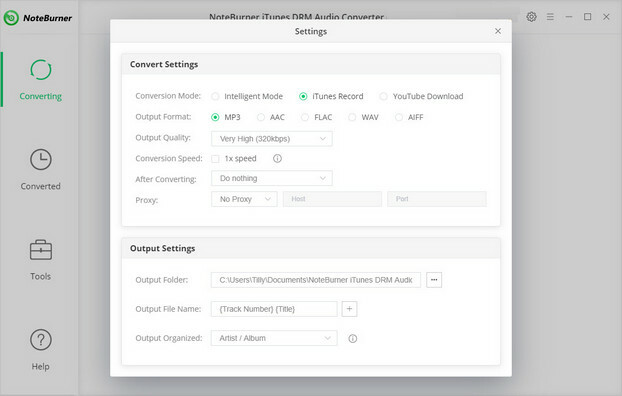 Here we are going to introduce a wonderful Apple Music exporting tool, called NoteBurner iTunes DRM Audio Converter to help you transfer Apple Music songs to MusicBee with ease. 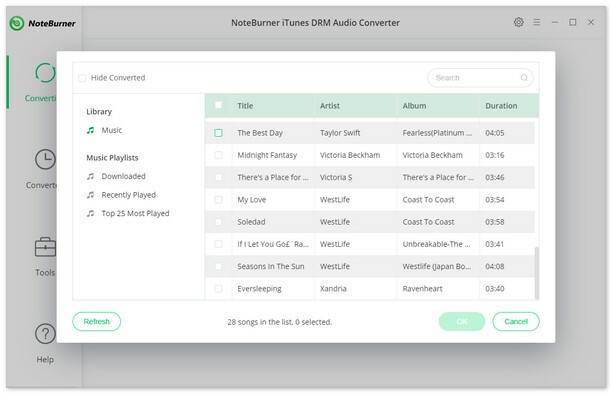 NoteBurner iTunes DRM Audio Converter is a smart yet easy-to-use Apple Music DRM removal tool, specially developed to help users strip DRM restriction from Apple Music streams while converting the locked songs from M4P to MP3, FLAC, AAC or WAV format at 10X speed. Besides, it is capable of downloading Apple Music tracks without damaging the original streaming audio quality. With the help of this powerful tool, you can easily add the downloaded Apple Music songs to MusicBee for managing. The following is the detailed tutorial to guide you to remove DRM from Apple Music and import to MusicBee. Please download NoteBurner Apple Music Converter first before getting started. Then please click the button "Setting" to choose the output format as you need, in the pop-up window, you can set output path, output quality, and output format including WAV, AAC, MP3, and FLAC. 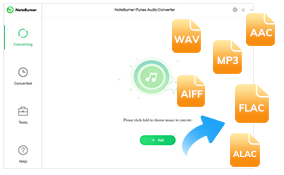 Now, all the Apple Music songs have been converted to DRM-free MP3/AAC/WAV/FLAC format, you can feel free to import them to MusicBee for playback or management.